Homeschool help and advice, parenting tips and useful homeschooling links intended to encourage and equip parents and teachers involved in preschool and early childhood education. 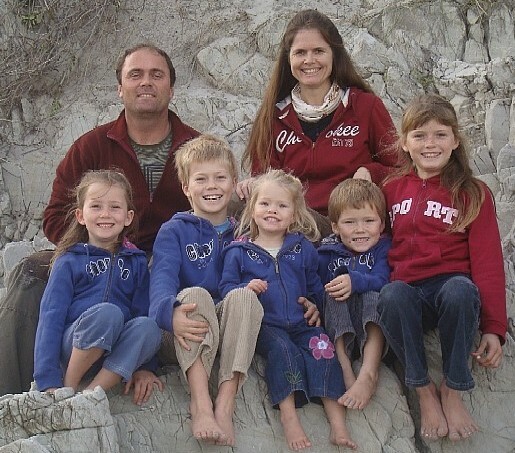 As I share my experiences of raising and homeschooling my five SIX children, I hope that these articles will build your confidence and inspire you in your high calling. In a day filled with the demands of little people, this page is your link to the adult world, to a friend who understands the challenges you face. Having traveled the path of home education for about 15 years and counting, I hope that I can point the way, inspire others who are also on this road and share what I have learned so far. I am not a stereo-typical 'super mom' who only has success stories to share, but a 'real' mom with real struggles who can relate to the ups and downs that we all encounter on this educational journey. They say that "Play is the work of childhood." This article explains how to make learning experiences part of your everyday life, without the stress of a formal curriculum. Practical advice about finding a homeschool curriculum, finding a support group, dealing with people who question your decision to homeschool. Tips for dealing with doubts and bad days from a Bible-believer's point of view. "I don't have the patience." "I can't teach Math." "I am stressed out already." "I can't afford it." These are just some of the fears, doubts and myths that prospective homeschoolers must face. This article is an attempt to do some myth-busting, dispel the fears and disqualify the anti-homeschooling excuses that prevent many parents from the awesome experience of homeschooling their families. "The idea that parents should hurry reading, spelling, writing, or math ahead of children's normal development is not supported by a single replicable research study in the world or by any clinical experience in history..." - so read this to find out what you should do, when and how to start. Although young children don't need a formal learning programme, find out how a well-chosen, age-appropriate preschool curriculum can simplify your life and be a tool to ignite a love of learning in your children. Preschool training years are for character-building - some ideas about what parents should and shouldn't emphasise during early childhood. These are two different yet related concepts. It is important for parents and caregivers to understand the distinction between the two. Every homeschooling parent wonders if she is doing enough ...Read how to deal with this nagging issue once and for all! Whether you are just thinking about homeschooling your little ones, or whether you are already homeschooling but have a question, this is the place to ask it. Written when Shirley was homeschooling one child, with three younger toddlers in the home, this article may help you cope with the challenges of little ones! This article was inspired by an email from a new homeschooling mother, who asked specific questions about coping with the day-to-day chores and demands that a homeschooling mother must deal with. Tips to help you establish a code of conduct or a written set of house rules and in so-doing make family responsibilities, behaviour and expectations clear for everyone. A printable free menu planner comprising of 6 main meal recipes per week plus the corresponding weekly shopping list to make meal planning a breeze! Subscribe to this monthly newsletter and get activities to give your children the attention they need while stimulatingtheir all-round growth and the development of school readiness skills required for formal learning. Details of South African homeschool support groups, egroups, websites and more. The sites below are by bona fide homeschooling moms who have taken the opportunity to build income-generating businesses on the internet and become work-at-home-moms. Find out how easily you too can succeed...and add a new dimension to YOUR life! Homegrown literature based unit studies as well as South African History lapbooks, curriculum options, tips for starting homeschooling, how to get a South African matric, articles and more for South African Homeschooling families. Personal homeschool support as you set out on your homeschooling journey. Shirley offers her experience as a veteran homeschool mother, author and consultant via live online webinars to help you avoid the common traps that befall so many new homeschoolers. Sign up today. Two homeschooling moms and their team provide your one-stop online shop for homeschool downloads, ebooks, lapbooks, live online classes for homeschoolers, unit studies, affordable curriculum and more. Sign up for their weekly freebie - there are some amazing products you can download. Vital info for your homeschooling journey. submitted by visitors to this site. Share yours along with a photo and receive a free Ocean Theme Lapbook project pack as your thank you gift. 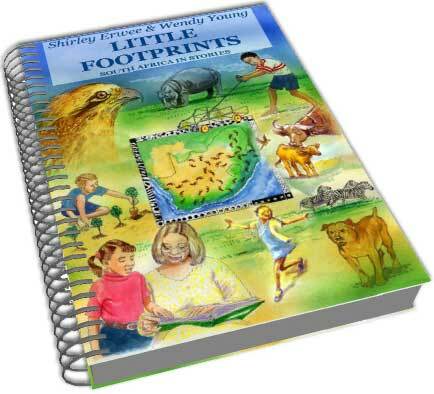 This is a picture book unit study of South Africa for ages 4-8. Written by homeschoolers for South African homeschoolers, this enrichment programme is designed to take you and your little ones on an arm chair journey around South Africa, exploring the fascinating people, animals and places that make up our beautiful land.